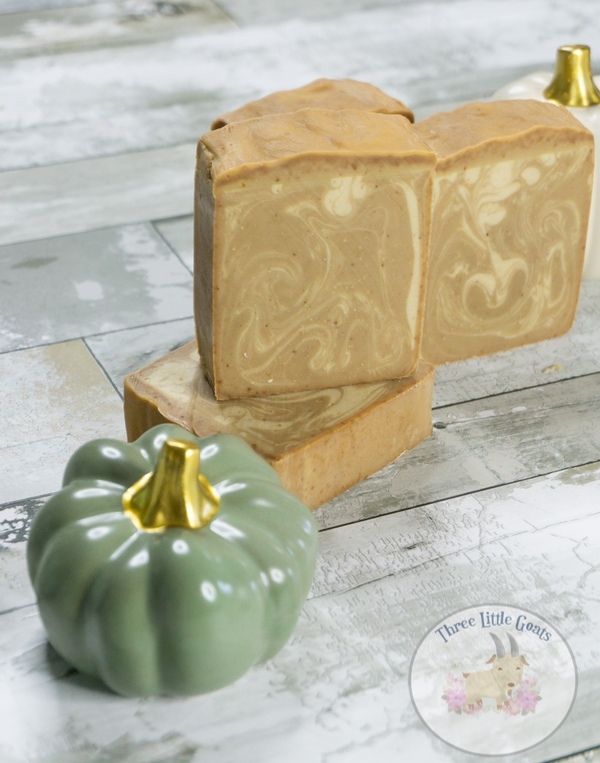 I used organic pureed pumpkin in this soap, combine that with the combination of the coffee, spices, and pumpkin scent used, it is perfect for fall. For a 5 lb batch of soap, I used 3oz of pumpkin puree, which not only adds great benefits, it gives the soap a soft orange color as well. Why use Pumpkin in Soap? 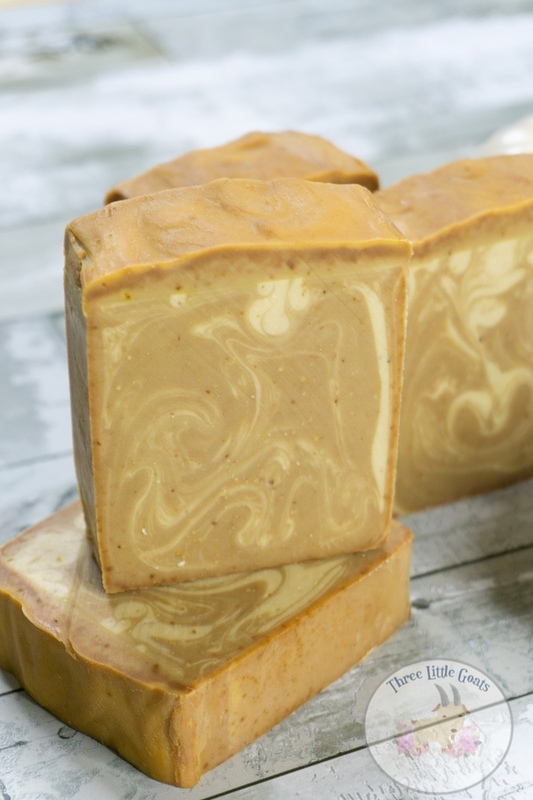 Pumpkin can add beneficial vitamin A and Vitamin C to your soap. These vitamins can help to soothe irritated skin, as well as boost collagen production in the skin. Pumpkin can also penetrate into your skin easily, so it is great for treating dull skin. 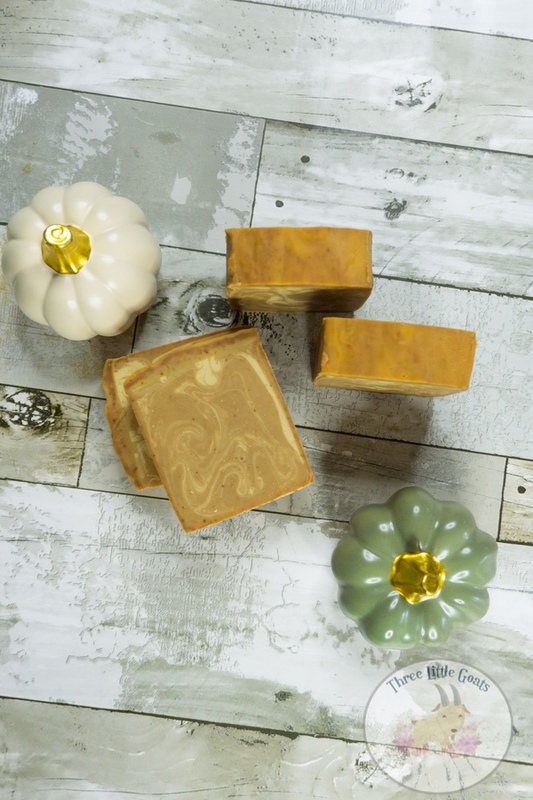 Because of all of the amazing benefits of pumpkin in soap, it is the perfect bar for when the weather gets chilly and dry, or just use it all year round! Want more benefits for your skin? Check out all of the great benefits of beer soap! You can even combine these ingredients to really maximize the benefits for great looking skin! Be sure to check out our Soaping for Beginners Guide if you are new to soap making. It is full of information to help you get started in your soap making journey! Also, be sure to check out all of other soap making articles for more fun and useful information. Previous Post: « DIY Batman Soap!